This is NO MORE Week to draw attention to how together we can end domestic violence and sexual assault. Both domestic violence and sexual assault are important with many common risk and protective factors. 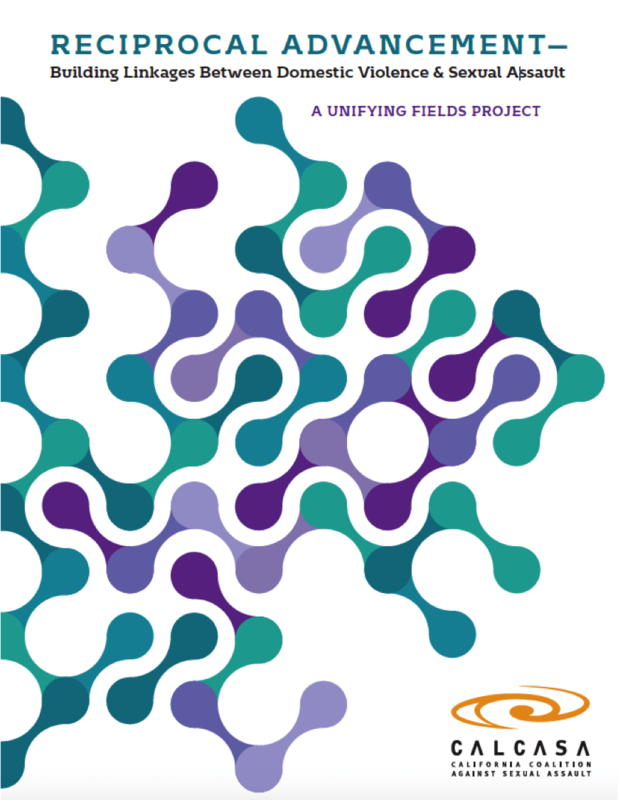 Today the California Coalition Against Sexual Assault has released a report, Reciprocal Advancement: Building Linkages Between Domestic Violence & Sexual Assault that look at ways to elevate both domestic violence and sexual assault together and to identify and create opportunities to leverage each issue. In this report, domestic violence and sexual assault are seen as distinct and linked issues. From a prevention perspective, I believe the solutions to ending domestic violence and sexual violence have more in common than are different – and we need to be attentive to the differences. We need to promote respect and consent; highlight healthy relationships and healthy sexuality. Gender roles must be transformed to promote gender equity as an important key step to preventing sexual violence and domestic violence. It will take a movement to create the social change necessary to live in a world without such violence. 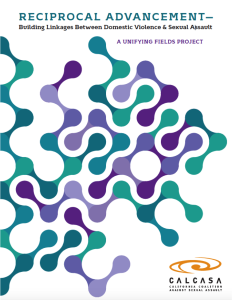 This report was developed with funds through a project called Unifying Fields: Building Linkages Between Domestic Violence and Sexual Assault, funded by the Blue Shield of California Foundation.